View full coverage of key public events. To view a calendar of upcoming events, visit www.cityofvancouver.us/calendar. 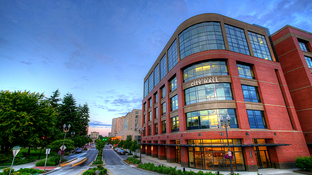 Complete coverage of the March 28, 2019, State of the City address. 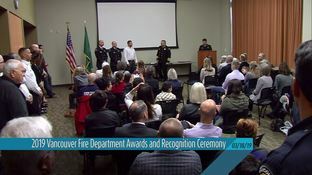 Complete coverage of the March 18, 2019, Vancouver Fire Department Awards ceremony. 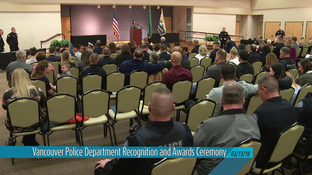 Complete coverage of the March 12, 2019, Vancouver Police Department Awards ceremony. 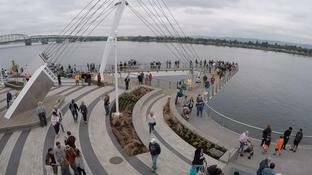 A celebration of the opening of Vancouver's Waterfront Park - reconnecting downtown Vancouver with the Columbia River waterfront after over 100 years. 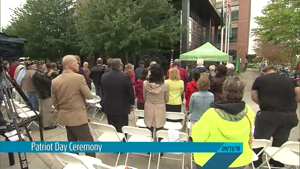 Complete coverage of the September 11, 2018, Patriot Day Ceremony held in front of City Hall. 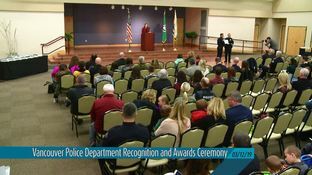 Complete coverage of the March 13, 2018, Vancouver Police Department Awards ceremony.